This is spearmint essential oil in an alcohol suspension. Spearmint oil by itself has a limited shelf life. But if you combine it with 160 proof filtered vodka (or any high alcohol base), it stabilizes the oil. 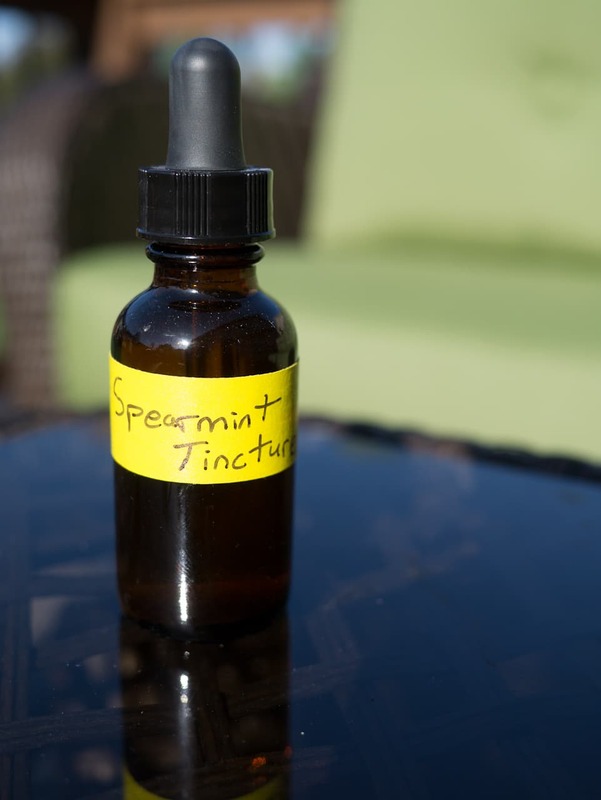 You now have a concentrated spearmint extract that you can use to enhance your drinks or to make mint syrup as you need it. Add spearmint oil to the vodka in a 1 oz amber dropper bottle and agitate. The vodka is Devil's Springs vodka and I filtered it with a Pur water filter. The essential oil is from Eden Botanicals available on the Internet. You can order a "sample" size which is a tiny vial suitable for this recipe.